Our first Wobby.club commission: a fluo pink leporello summer postcard set printed for Dutch national theatre company HZT / Het Zuidelijk Toneel. 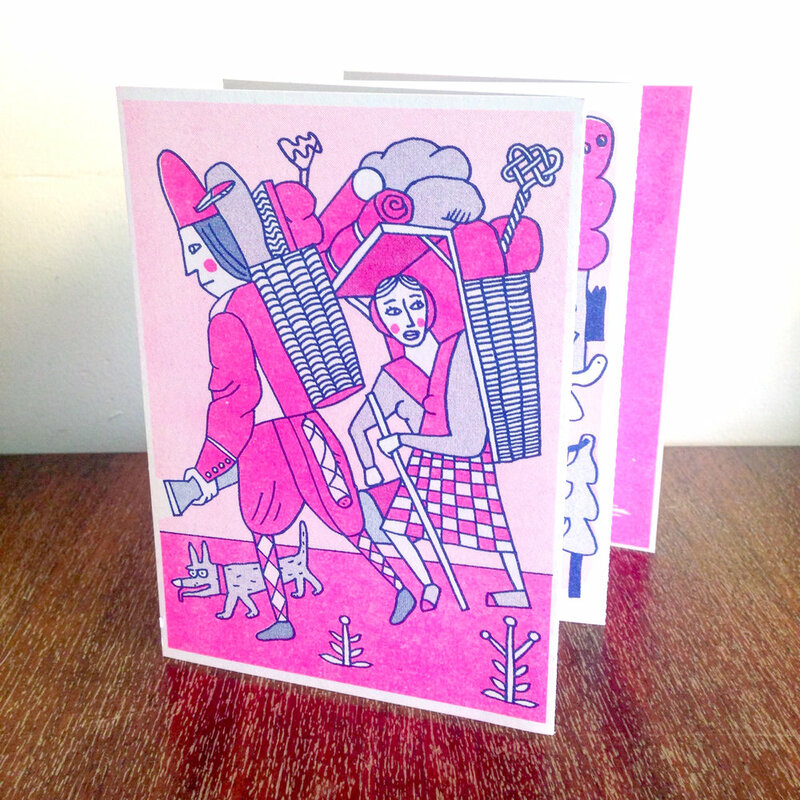 We printed the leporello cards on our Risograph duplicator. In the summer season of 2016 they were available at theatre festivals for free. The illustrations were based on the summer theatre shows of HZT. With illustrations by Jeroen de Leijer, SL Trumpstein, Eva Stalinski, Marjolein Schalk and Paul Faassen.